If you’re a Disney fan, you might want to have a tissue or two handy while you watch this new trailer for Saving Mr. Banks. I found myself tearing up a bit towards the end, which tells me what already was a hunch: this movie is going to be amazing. Saving Mr. Banks is inspired by the true, previously untold story of the extraordinary lengths to which Walt Disney (played by Tom Hanks) went in order to bring P. L. Travers’ (played by Emma Thompson) story of Mary Poppins to the big screen. Starting on July 15th and running through August 5th, PBS Kids will air special themed weeks featuring different characters your kids love. I know Bubbles will be looking forward to these, especially Daniel Tiger. The teaser poster from Captain America: The Winter Soldier has been released. It will storm into theaters on April 4th, 2014 and I cannot wait. 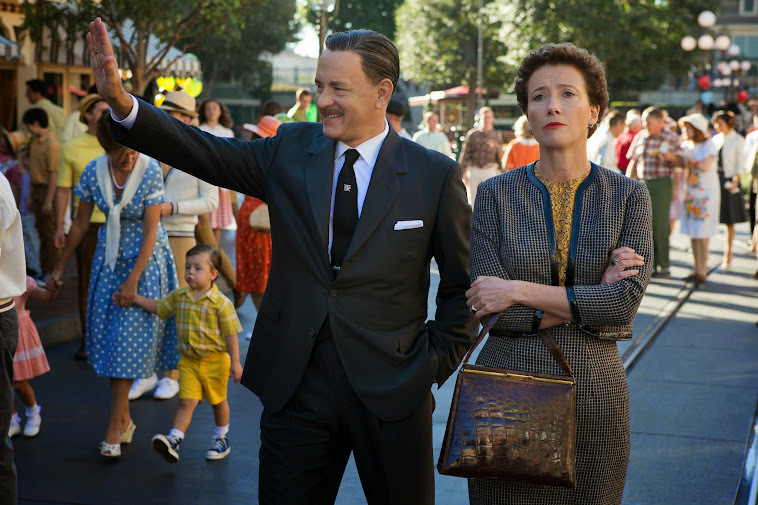 What did you think of the Saving Mr. Banks trailer?